A new state requirement that students must retake standardized tests if they do not achieve a minimum score has landed hundreds of thousands in summer school, carrying a hefty price tag for school districts. The school year ended the first week of June for most Texas students, but for hundreds of thousands of them, it won’t mean the end of class. Because of low scores on the state’s new end-of-course exams, or EOCs, many incoming 10th-graders will have to retake them in July, landing them in summer classes to prepare — and leaving school districts with a hefty bill. This year, the scores on the exams don’t count toward high school students’ final grades or toward school districts’ accountability ratings. But a requirement that students retake a test if they do not achieve a minimum score remains in place. The Texas Education Agency does not know the exact number of students eligible to retake the exam; according to score summaries from the agency, there were about 430,000 failed exams, but the same student could have failed more than one. Many districts did not receive notice of how well students did on the exams until after classes had already let out for the summer. That, combined with the logistical challenges of organizing summer classes for what could be thousands of extra students — explaining to parents why their children need to attend, finding teachers, facilities and transportation — has made for an “extremely frustrating situation,” said Pascual Gonzalez, spokesman for San Antonio’s Northside Independent School District. At around 95,000 students, Northside is the state’s fourth-largest district. It will spend an estimated $750,000 for roughly 2,100 students to attend score-improvement summer classes for 13 days. Houston ISD, the state’s biggest district, has hired more than 200 extra summer school teachers this year to handle an enrollment of up to 7,000 students. Depending on the potential bonuses the teachers earn — they will be rewarded based on the number of students who pass the exams — it could end up costing the district $1 million to $1.5 million. The funds are coming out of the pot of money usually reserved for teacher performance pay. In the Panhandle, Amarillo ISD, which has about 32,000 students, has hired roughly 20 new summer teachers with more likely to come, spokeswoman Holly Shelton said. She estimated the total cost for the district would be around $50,000. For smaller districts and those in rural areas, there can be an added challenge: Many of them have never operated summer school to begin with. Angelina County’s Hudson ISD has never offered summer school, said Superintendent Mary Ann Whiteker, because the district simply can’t afford it. Transportation for students in the rural East Texas district often ends up costing more than paying the teachers to be there. 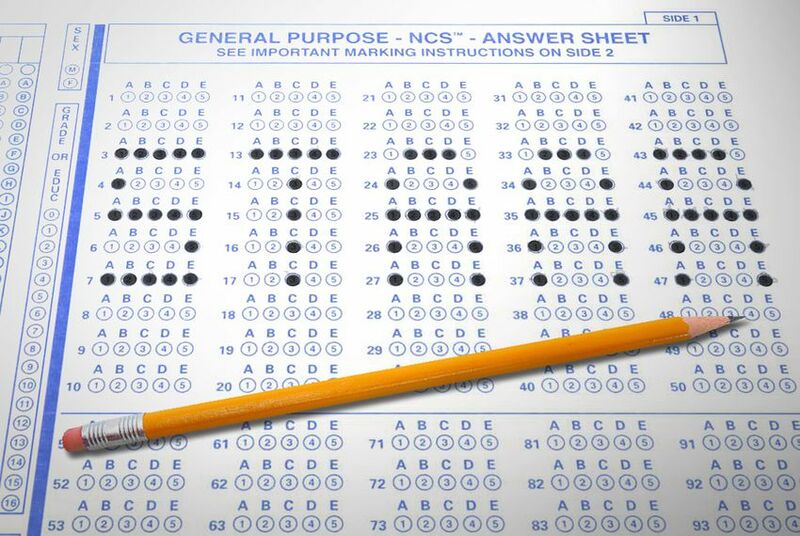 The district is still investigating how it will pay for remedial STAAR instruction. Debbie Ratcliffe, a spokeswoman for the TEA, acknowledged that the test retaking requirement does create an added cost for schools. “That's one thing that the districts are frankly chafing at right now,” she said. The agency provides online training for teachers looking for tips on how to prepare students for the exams, and Ratcliffe said that in many cases instructors may be able to raise their scores with only a few adjustments in their curriculum. New passing standards set this year — which the agency will phase in over the next few years — have drawn criticism for being too lax from everyone from the Texas Association of Business to Houston ISD Superintendent Terry Grier. Even with the lower standards in place, only 55 percent of students passed the English writing exam and 68 percent passed the English reading test; the passing rates for all three other tests were in the 80s. Anxiety over the new testing system has prompted the formation of several parent groups pushing for reforms. Susan Schultz, an Austin attorney and parent of a ninth-grader in Austin ISD, is a founding member of Texans Advocating for Meaningful Student Assessment. She said the poor results on the tests were concerning, and she feels for the parents whose kids will have to spend the first part of their summer studying for the retakes.